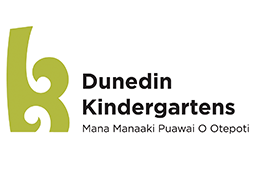 The teachers believe in providing a warm, caring and safe environment that empowers and supports children, teachers, families and whānau. In this community we recognise ongoing and diverse learning pathways to enable children to be confident and competent life-long learners. We are located in Waverley and have links with the wider Otago Peninsula community. Children from Grants Braes Kindergarten transition to Grants Braes school, Macandrew Bay School, Anderson’s Bay School, St Brigid’s School, Broad Bay School. We promote transition to school through a forest programme where the ten eldest children explore an area of our city. Through this programme children are encouraged to develop a deeper interest in taking care of the natural environment, independence, greater observational skills, deep inquiry, negotiation, making friends, mathematics, literacy, and physical skills. The kindergarten is supported by enthusiastic and active parents as well as a committee of parents that fundraise to provide resources and equipment. The kindergarten is therefore well resourced with up to date equipment and facilities. The teaching team are committed to providing an environment that enhances mana for children and whānau. In 1953 Grants Braes Kindergarten opened in a Hall and moved to its own building in Belford St in 1956.